Police officers who suspect a driver of DUI in Los Angeles must have probable cause before they can ask that person to take a breathalyzer test. But what constitutes probable cause? In Kansas, at least, police officers can no longer use some of the indicators that they used to employ. According to the Topeka Capital-Journal, the Kansas Court of Appeals has ruled in favor of Darcy Unrau, who appealed his conviction on DUI charges. Unrau’s lawyers argued that Officer Steve Koch, who arrested the driver, lacked good cause to ask the defendant to take a breathalyzer test. Unrau had been driving 30 mph over the speed limit when Koch pulled him over in August 2014. After spotting a holstered gun in the vehicle, Koch asked the driver to get out. The officer admitted that Unrau had no problem talking or walking but said he smelled of alcohol. When Unrau’s passenger opened the glove compartment in the vehicle to take out the insurance information, a can of beer rolled out. Officer Koch subsequently found two other cans of beer, one opened, in the vehicle. At Koch’s request, Unrau took a field sobriety test—which he passed—and then a breathalyzer test, which measured .155, according to Koch. He arrested Unrau for driving under the influence, possession of a firearm while under the influence, transporting an open container and speeding. 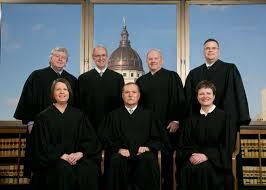 The three judges on the Kansas Court of Appeals split in their decision. Two sided with Unrau, agreeing that his behavior when stopped did not warrant the sobriety test. One judge disagreed, saying that the open containers of alcohol and Unrau’s speeding indicated he was showing poor judgement and gave the officer reason to suspect that the driver might be DUI. The county prosecutor has not yet indicated whether he intends to appeal the case to the Kansas Supreme Court. Last year, the Kansas Supreme Court ruled in favor of a driver arrested for DUI after hitting a curb, arguing that that act did not constitute sufficient reason for a police officer to administer a breathalyzer test. Attorney Michael Kraut is an experienced ex-prosecutor who understands how to construct strategic defenses to Los Angeles DUI charges. Please call the Kraut Law Group today for a confidential consultation.